Dating back to 1861, this picture house was originally the North End and Harvey Dining Room. The upper floors were used as a hotel, but the register shows that on one day alone, the 15 rooms had 150 gentlemen ‘guests’; in fact they were rented by the hour to ladies of dubious repute! Rest assured this lapse of morals is a thing of the past! 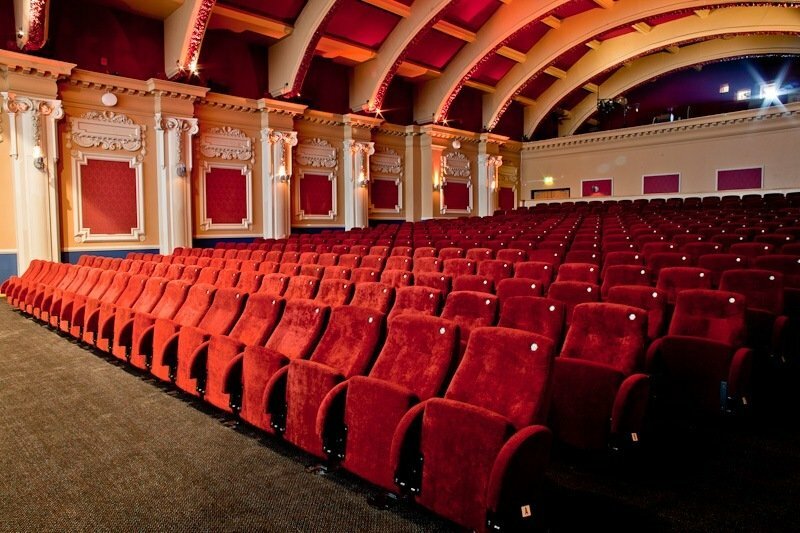 The cinema is now equipped with state-of-the-art air conditioning, which has been carefully designed to fit within the Grade-II-listed plasterwork. The auditorium has been fully re-seated, with luxury armchair seats, drinks tables and double love seats at the rear. This seating for 184 is perfect for all-day conferencing.